Don’t be fooled by the promise of getting instant online rates with Mortgage Calculators and comparison sites. They are useful to give you a general idea of what you may be able to afford, but speaking to a qualifed Mortgage Advisor is the only way to really know how much you can afford to borrow. Banks and building societies used to lend up to three times a single salary or two and half times joint earnings no questions asked. Since the recent economic downturn, lenders have tightened up their criteria to include deposit size and monthly financial outgoings. There are lots of different tools on the internet that are handy for getting quick questions answered. However getting the best mortgage will depend on your individual circumstances so it is always worth getting advise. 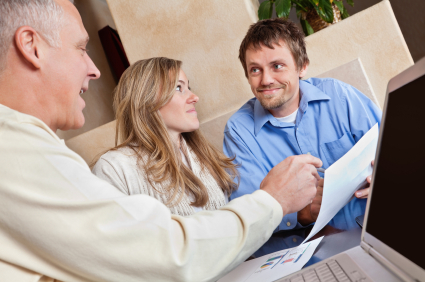 Why Use the Mortgage Advice Center? Just fill out the form on the right hand panel and you will be contacted by one of our independent financial advisors, who will advise you on the mortgage & insurance deals to suit your situation, and will be totally upfront about the ‘extras’ you can expect to pay.